Summary of Episode 4 below. I kid. I gotta say this : This is the BEST episode so far for season 2. It’s full of win and GAR from setsuna and crew. Epic battle scenes. Watch this space for the full review some time soon, got lots of schoolwork these few days. Waking up at 0700hrs and leaving school at 2000 hrs is no joke two days in a row. In the meantime, shock and awe from the powderful gundams! 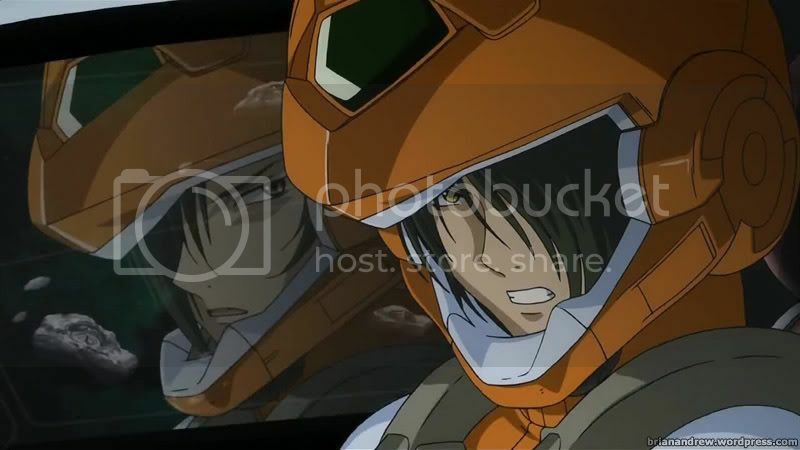 This episode builds up from episode 1 as setsuna gathers the remaining personnel for celestial being, namely Lynes and Sumeragi. There sure is a lot of hints and questions of future plots from the OP and ED so I will just note down my thoughts together with a brief summary. I have many pictures which I wish to caption but due to time constraint, I could only insert all of them as a gallery and hyperlink them to my ‘review/summary’. Hope you guys enjoy the screenies as much as I do. Finally, the return of the terminator! 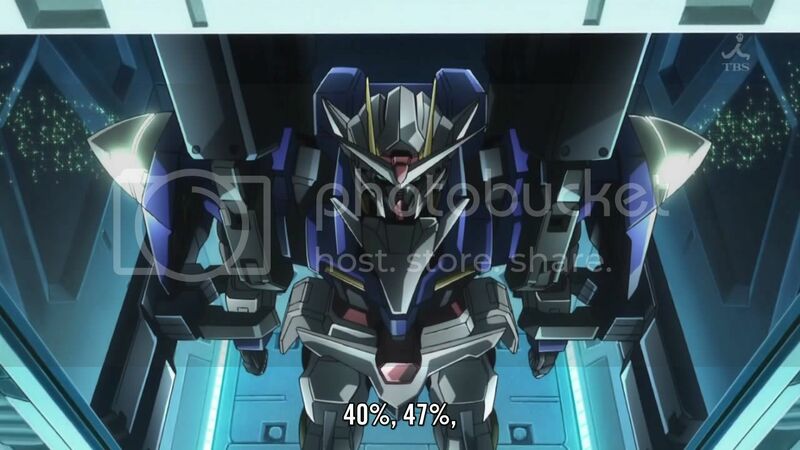 Gundam Exia! Or what remains of it. I would like to skip giving a summary but I thought it would be better to write down my thoughts together with a brief summary. As such, SPOILERS ARE TO BE EXPECTED! 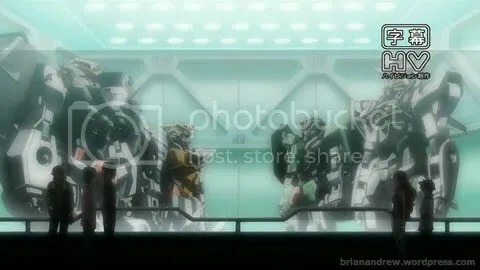 Wow, Gundam 00 Season 2 sure started out with a big bang! 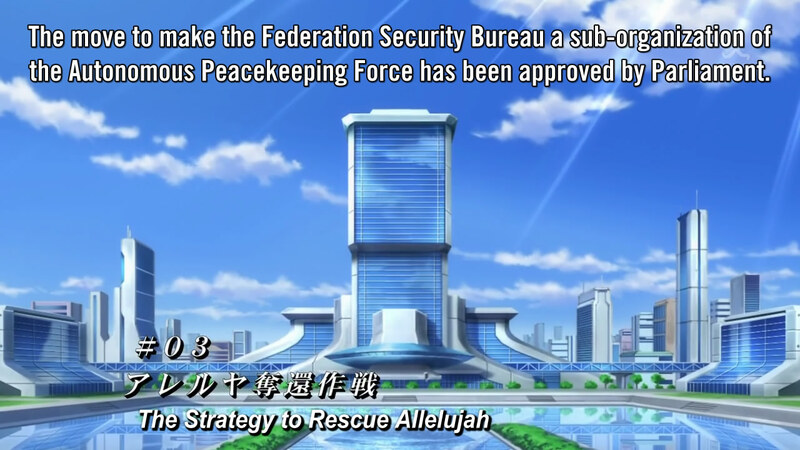 Flashy mecha engagements, big nice fireworks and a revamped political landscape. 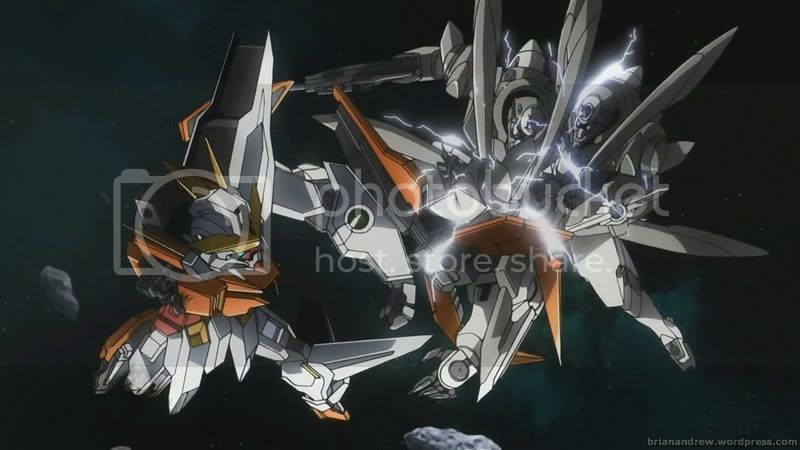 Same ol gundam with even more new mechas! Tis a good season to begin. The insert music is very fitting as well for the A-laws which chills me whenever listen to it. Cold heartless A-laws? Not surprising considering ribbons, probably a cyborg is in charge of A-laws, made up of a bunch of blood thirsty warmongers. Or not. Just doing their job, ridding the world of kataron. so what is kataron? P.S. Will add in more pictures later! Lockon’s passing was hard on everyone. Sestuna recalls his first day being recruited to Celestial Being when he met Lockon for the first time. Lockon was the first one who accepted him regardless of his tender age. 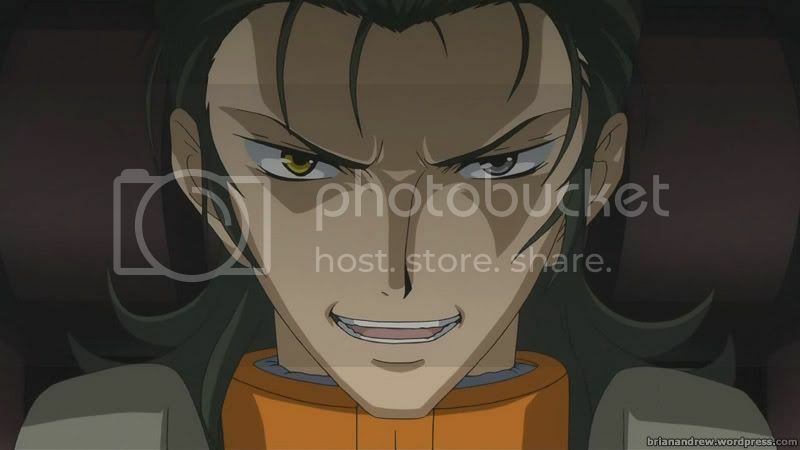 Once Setsuna returns to Ptolemaios, Tieria vents his anger towards Setsuna and blames him for Lockon’s death. Sumeragi however snapped him out of it and told him that the fight is far from over. More after the jump. Had been very busy for the past few days. 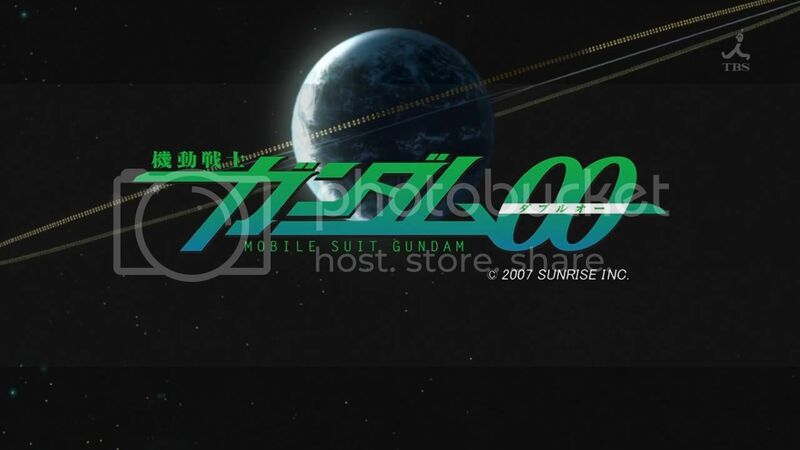 Furthermore I got episode 23 of Gundam 00 very late, hence explaining my delay. At least, that problem is resolved for the time being. Now that episode 24 is out, we are one episode away from the season finale and I bet that it’s gonna be explosive. 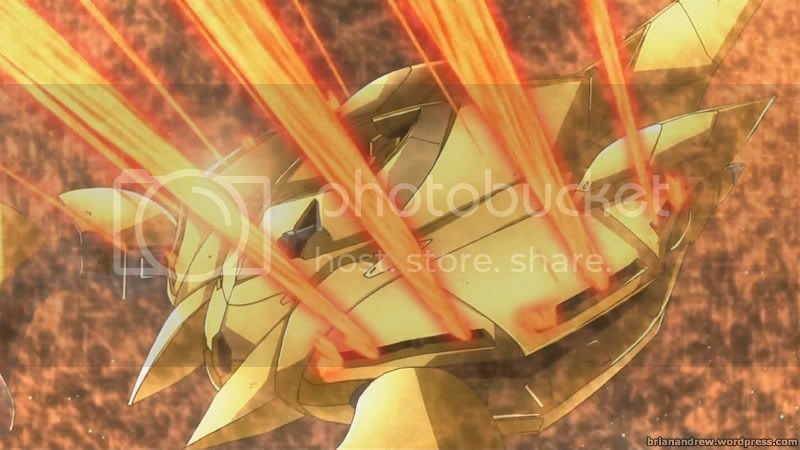 After the Meisters received their Gundam upgrade, the Trans-Am system, Ptolemaios crews scrambled to prepare themselves for the possible retaliation from the GN-X team. Sumeragi began explaining about the Trans-Am system after their thorough analysis. More after the jump.